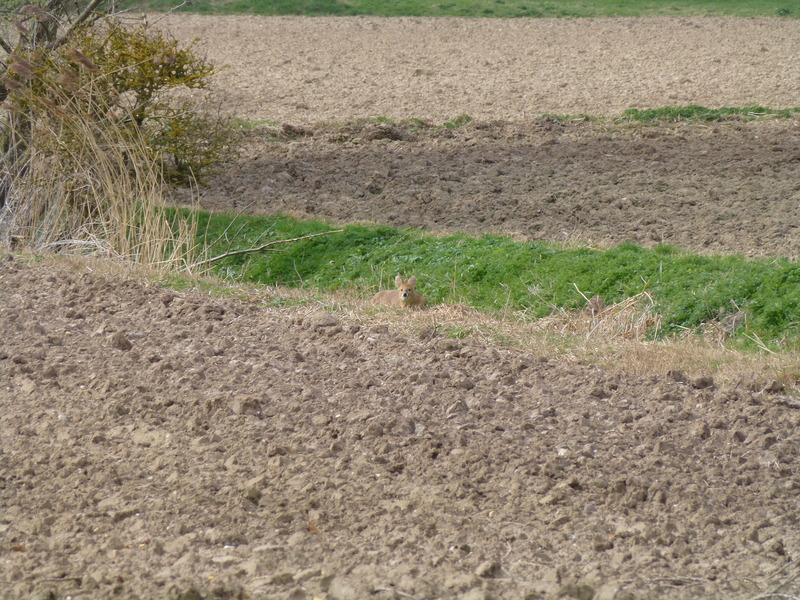 Few days stalking in Norfolk. Had an invite from the same lad as usual to go on a new bit of ground he has in Norfolk so arranged a few days away. 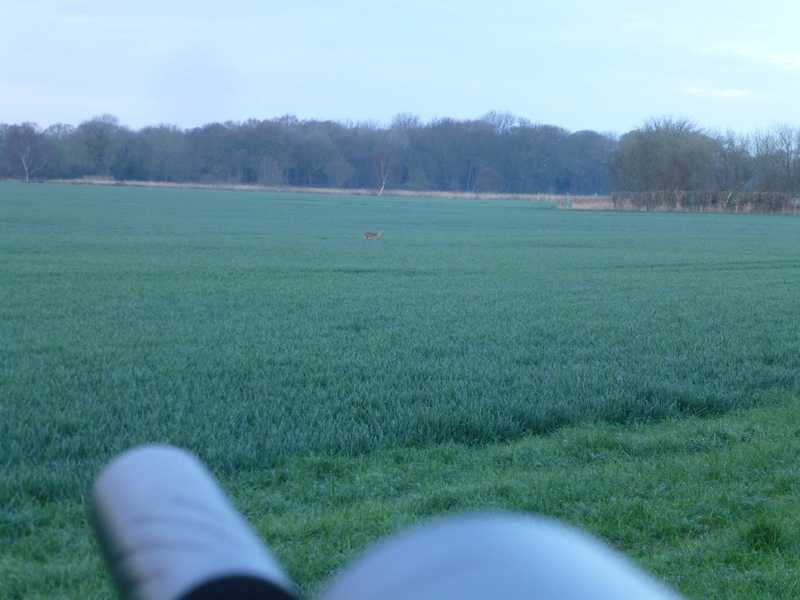 Met up in the first evening,was shown round what must have been over 3000 acres and the numbers of deer were incredible,absolutely everywhere.Was pretty daunting as we tried to take in the whole ground as when night came we were told we had free run of it and to do as we please,obviously not literally. Very sleepless night trying to remember where we were but in the morning everything seemed to click as we remembered the roads we had taken and the likely spots.Had a map for the local bits but there were out places that were easier to remember. 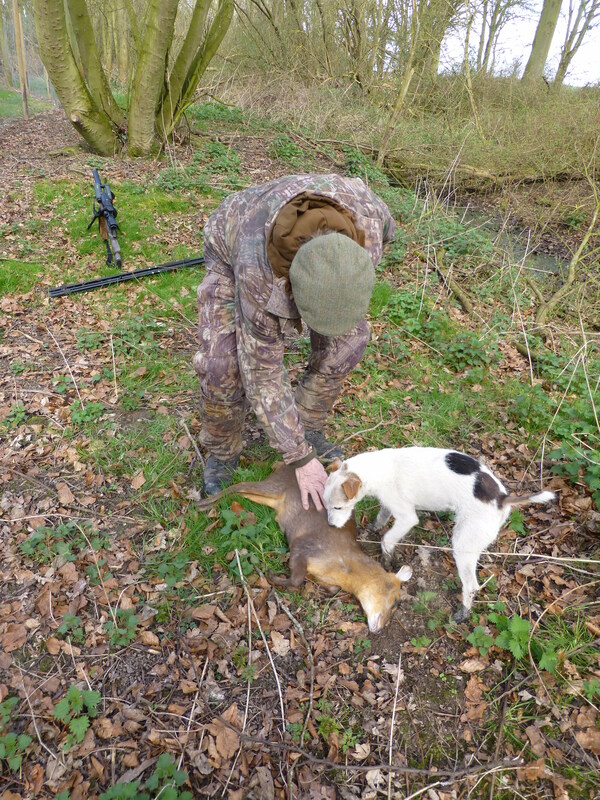 Mission was to get the old fella a munty,so on the first morning we passed up probably 20 CWDs,many of them certain medals and it was again an eye opener to see numbers like that. Ended the trip with some superb beasts and the old fella ticking off the munty,getting 4 in total and some cull CWDs on top of that. 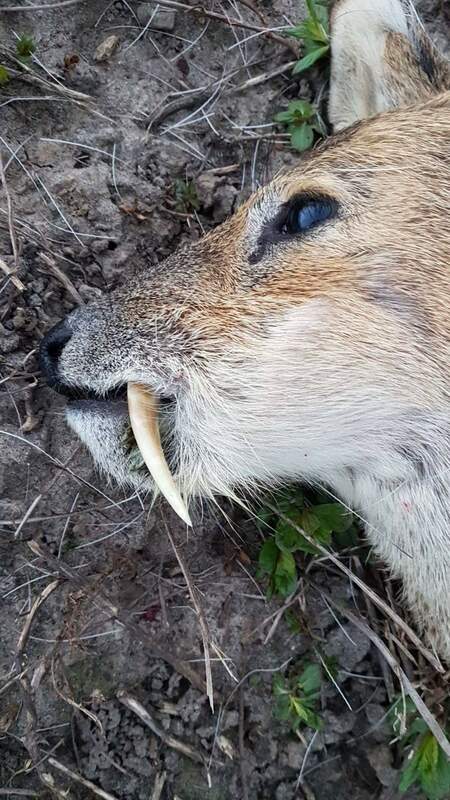 Had a lovely ancient munty buck with tusks like the old fellas teeth,and then took some lovely CWDs including a bit old lad with half a tusk,another with a single tusk and another with a single tusk and an absess oozing from his forehead. 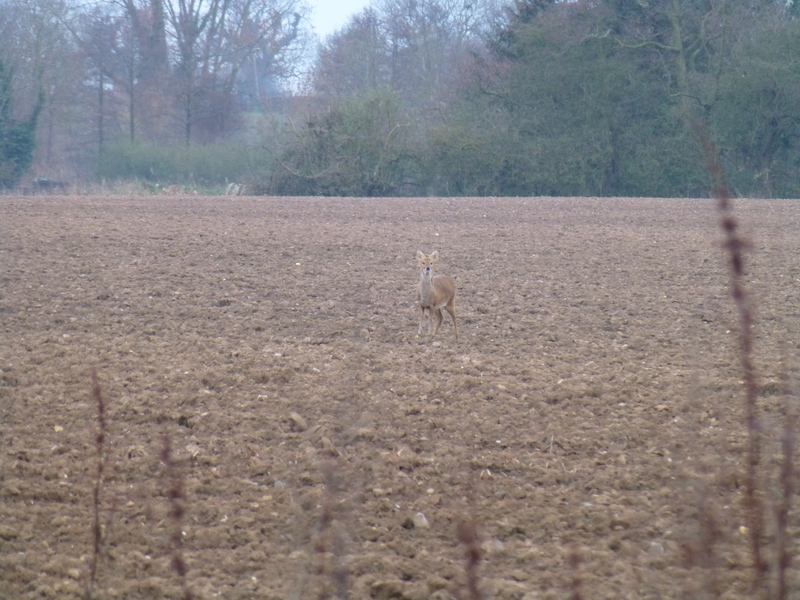 Had the option of doing fallow but we decided to stay put where we were as the lad was dealing with clients too so we didnt want to spoil any plans.Some of the red stags we saw were huge,and the spikers resembled our matures in the body. 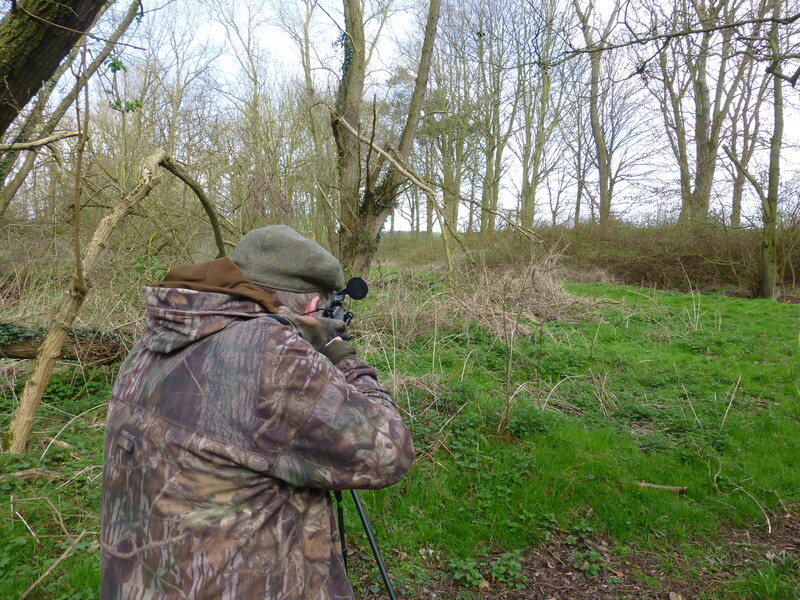 Trip of a lifetime glad that the old fella is still around to experience it.Hopefully plan a few days next season and get him onto some fallow. Up the road with 14 beasts and all butchered and freezered yesterday. That was right up your street. Thanks for posting. Dont let your father read it though. 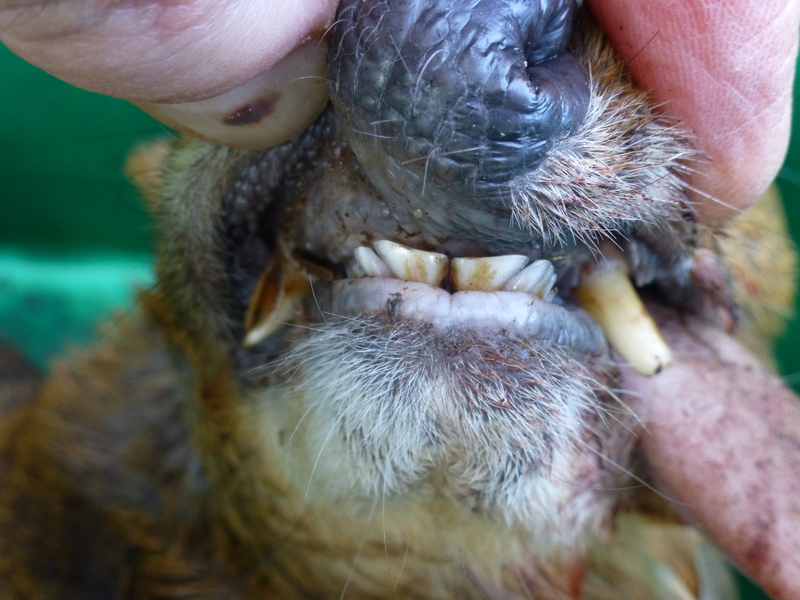 He may not take too kindly to having his teeth compared to a Muntjac’s tusk. Glad you enjoyed a few days in our countryside , it must have been a contrast from your lovely neck of the woods with the hills and mountains as a back drop . 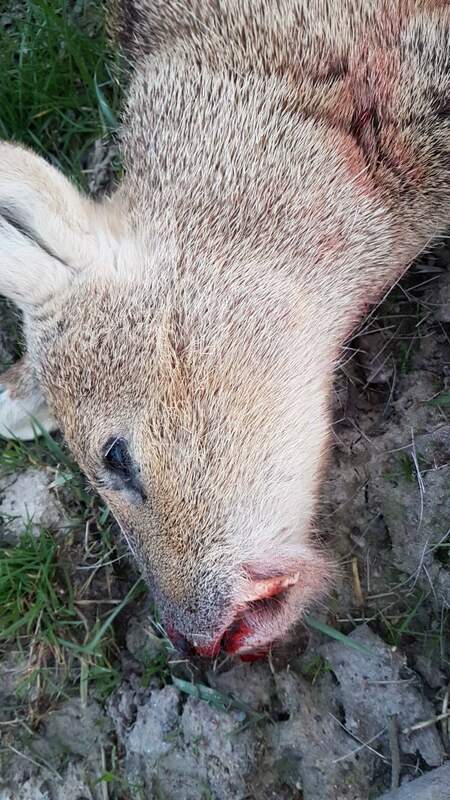 As already mentioned by ( Ditchie ) we have got more than our fair share and there isn't a main road where you dont see dead deer carcasses , these are mainly Muntie's or C W Ds although our keeper have often been called out to dispatch larger species of deer. Last week while looking for pigeons I came across 13 Red Deer all standing together in one group , these were about 150 yds away and with the sun shining on them they really did look a pictures . Being very interested in deer it was pretty much perfect.Not only for them though,the variety in bird life was outstanding especially with a reserve not far way. 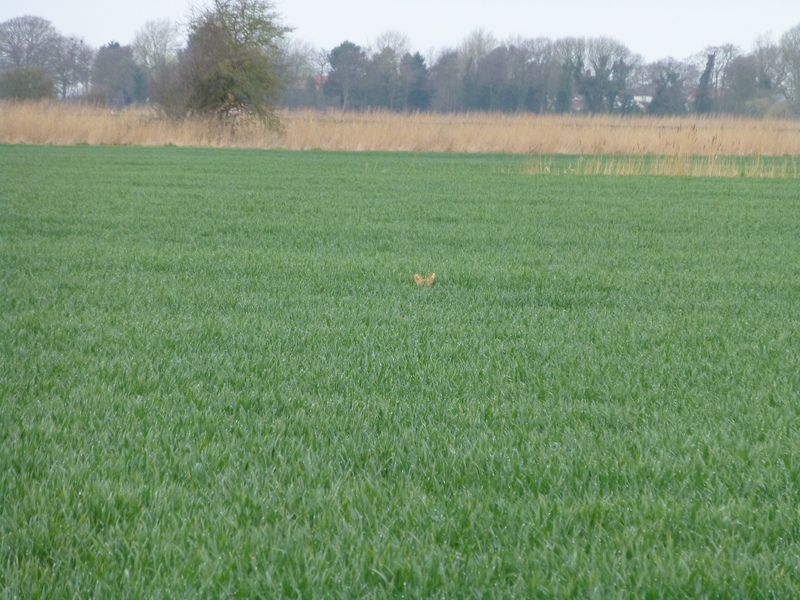 Another was the sheer amount of hares.We have plenty but this had to be seen to be believed. 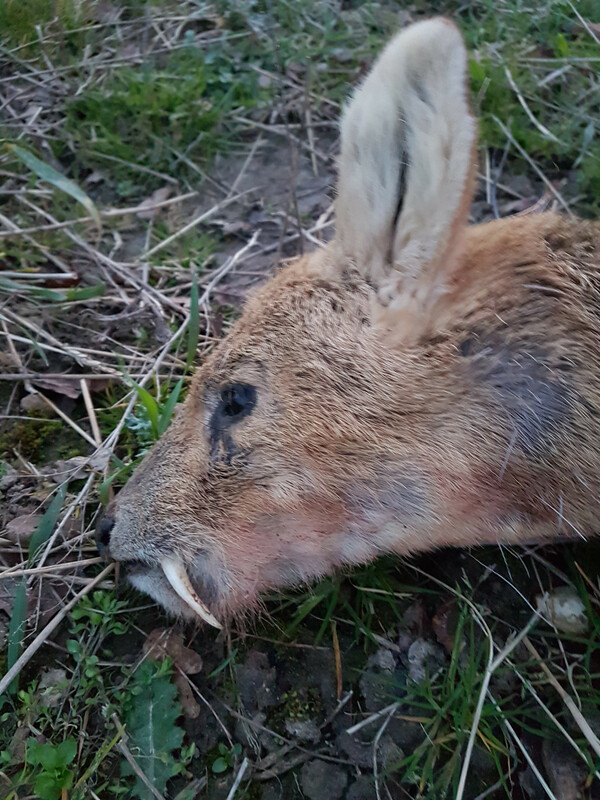 A lot see them as vermin right enough and with the numbers i can see why.Was the same on some parts of the road with endless muntjac squashed on the tar. Unusual to hear they are not a lot of shooting down with you,thought that most ground would have been taken due to numbers. Good time was had without a doubt,well worth 24 hrs of driving. 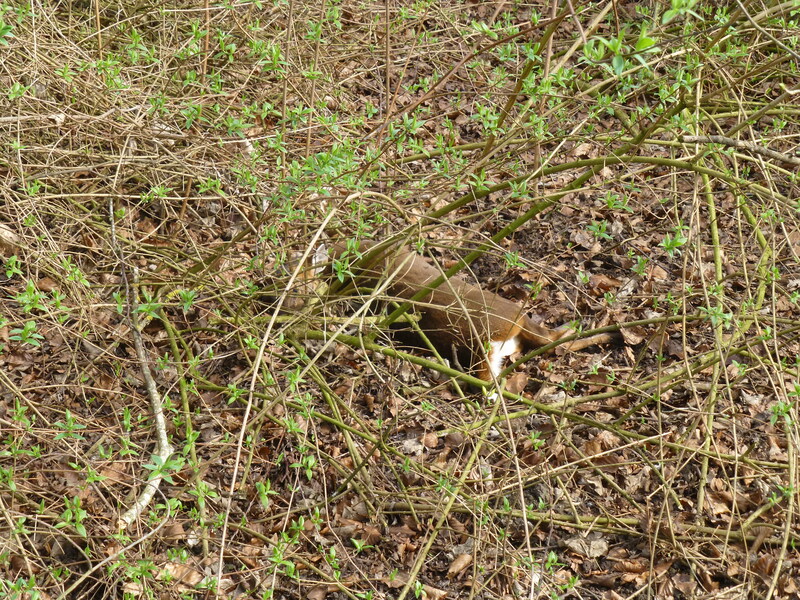 Did see some huge stags but dont think we saw a single roe but they are sparse around there right enough. We absolutely loved your countryside,different from ours right enough but in no way inferior.Both have merits and the vast variety of species we watched was superb. Excellent post and pic's. So many shooting options there what a great area. I have to work so hard for Munty here. 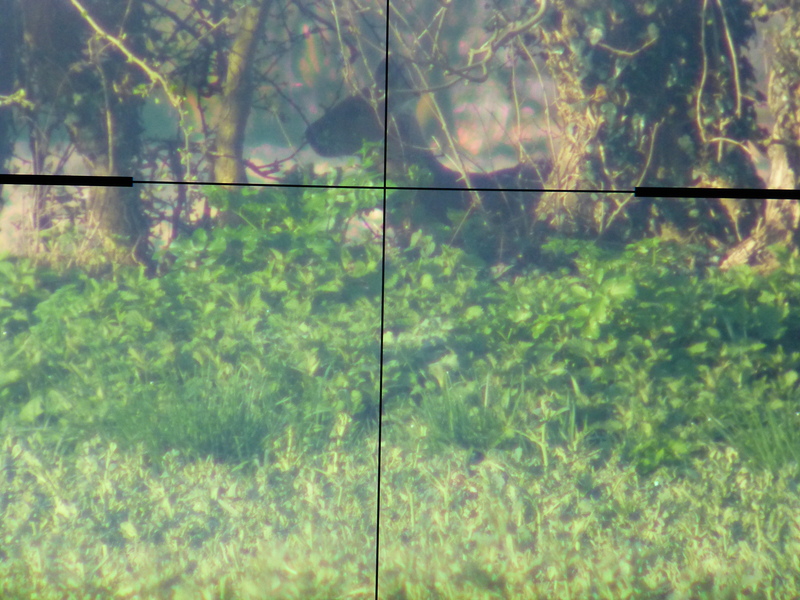 I had two in the scope last night but could not get a clear shot on either. 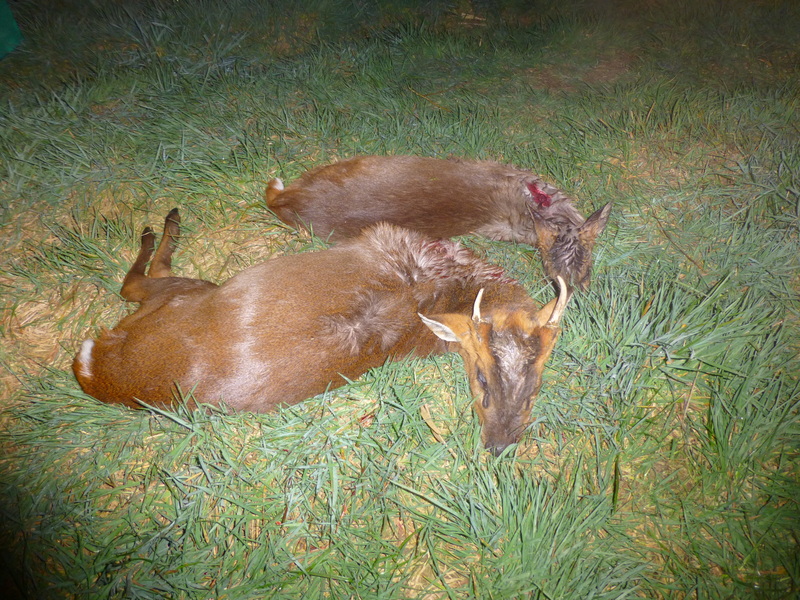 Plenty of mature Roe doe's but leaving them now. I have a few 'opportunity shoots' where I will take the bucks next week. Also need to repair high seats on some new ground but have to wait till Monday to do it. As you say the options were endless and we were very conservative with pulling the trigger,especially the first day as didnt know how many we were going to see but got a shock when we realised the numbers. 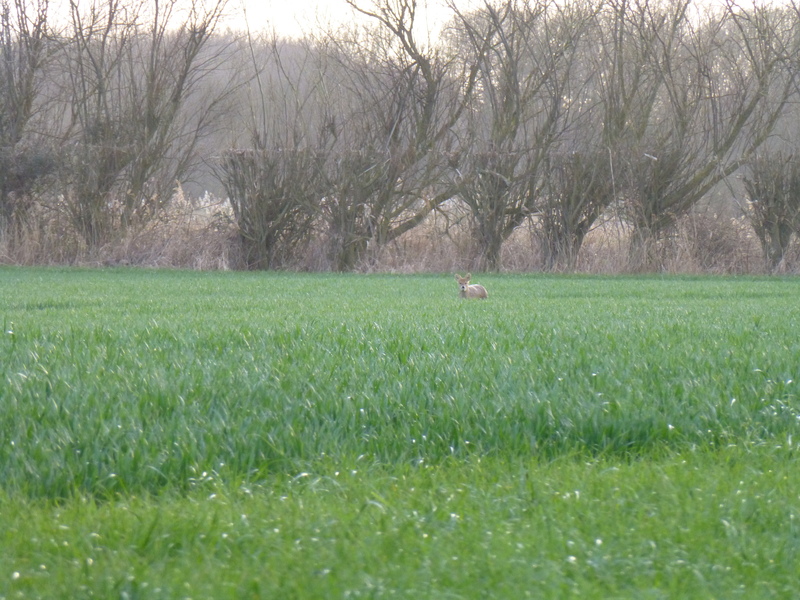 Good luck on the roe when the bucks come in.Cant wait for it and as usual will be interesting to see what appears. Superb trip Mark,and an excellent area. Havent a clue which part we were in,sat nav makes it all too easy,but the birdlife was outstanding along with ground species too. 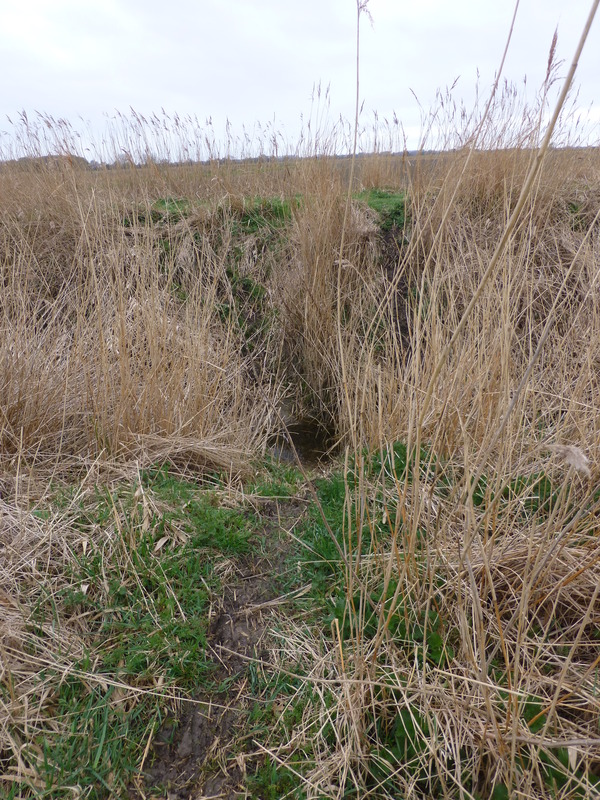 It started on the edge of Filby but we stayed in a hotel in Caister which was excellent. 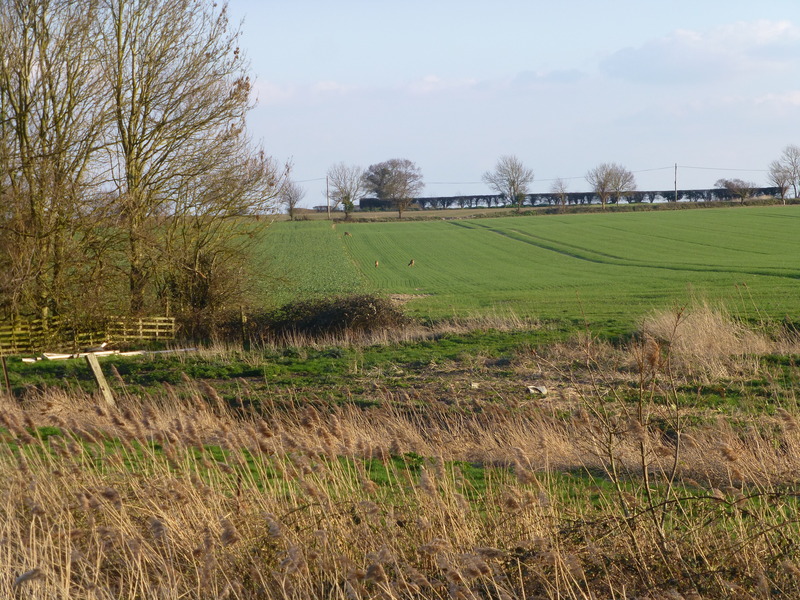 You were in South Norfolk , on the edge of the Broads with Filby Broad being close to where you were staying , a nice area and before I moved I done half my pigeon shooting around the Filby / Caister area as my house was only a mile or so away . now due to the snarl ups with traffic coming into the town I do most of my shooting the other side of the river . THANKS for promoting our county and I hope it's not to long before you do a return visit. P S ........ Hope your dad is keeping in good health and he thought the long journey south was well worth it . Great post and pics as always Sako, sounds like a lot of driving but well worth it. Pigeon numbers were pretty high on all the new sown parks that we had access to.Very busy road for the size of it as they all seemed to be in the area. Dont think the area needs allt hat promoting,the place speaks for itself as far as we have seen and heres hoping for a wee visit next season too. Cheers regarding the old fella,and the old dear is hearing no end of the trip.She phoned on the second day home and said he had actually said it was the best time hes ever had,and knowing what hes done in his many years that speaks volumes.Great that we can do things like this as he wasnt one for travelling for his shooting so making the most of it now.At 74 he still puts a great shift in and he wouldnt have it any other way.He was regretting it the last evening when he dragged 2 ungralloched CWDs 800ish metres to our RV place due to forgetting his knife,but soon recovered. Driving is the only downside but soon forgotten when you have 3 days ahead of us that are brilliant. 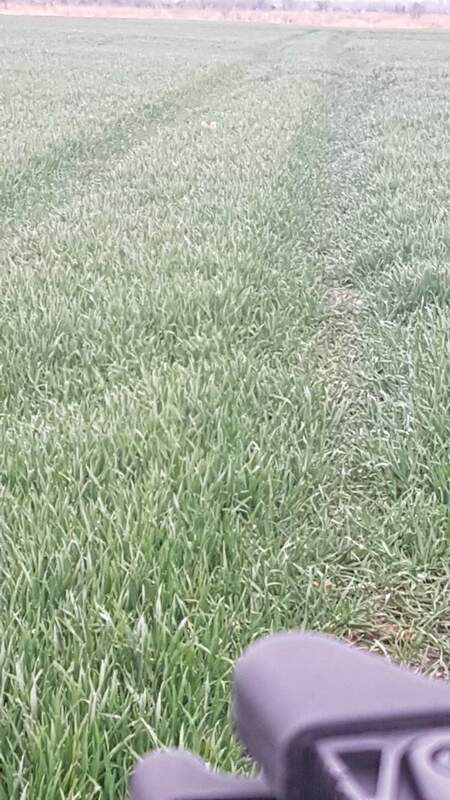 Hopefully you get sorted out asap.Bucks starting would be my number 1 day of the year and always wonder what will be going about.Only seen one cleaning here so far but with this weather im expecting them to be a wee bit ahead than usual in a week or two.